There’s nowhere quite like Rheged- arts, good food, events and cinema under a green grass roof. Soap was brought on board to translate the Rheged experience, pioneer a CMS and tie it to an 100% bespoke white label ticketing system API from tickets.com - a company well know in the states for handling ticket sales for the NBA matches to baseball games. 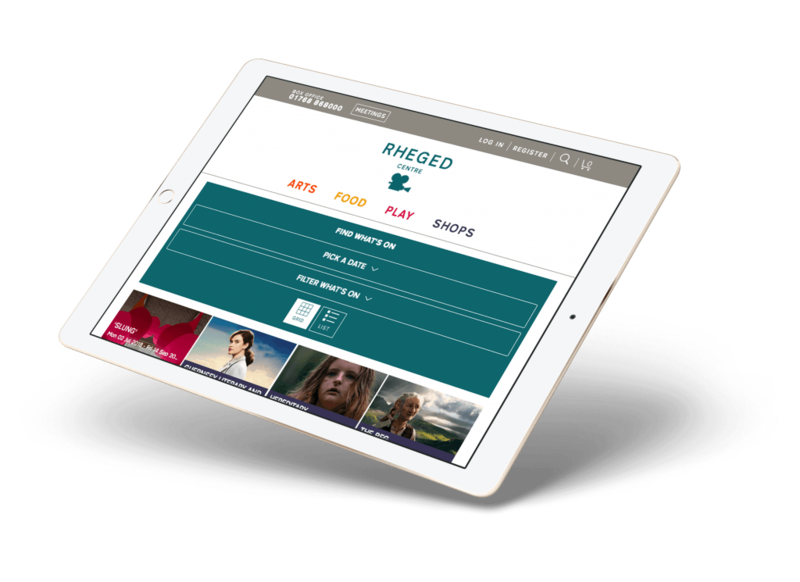 Rheged, being as unique as they are, wanted to ensure that offline identity was carried online. Soap helped deliver a living bespoke grid-like system where a wall of adaptive content allowed users to see all key events and activities from deep inside the website. Mobile and UX Challenges cross-device was one of the greater obstacles, whilst wanting to innovate we also needed to ensure the users didn’t have to ‘think’ or, worst still, guess as to what to do next in the process to meet their intent. We did a lot of workshop/prototyping exercises to validate the process, iterating and transforming the checkout into what we see today.